SEOUL - North Korea has apologized to bereaved families after an apartment building collapsed in Pyongyang last week, possibly killing hundreds, the official KCNA news agency said, a rare admission of fallibility from the reclusive state. Pyongyang's expression of "profound consolation and apology" was the first official news of the disaster, which happened in the Phyongchon district of the North Korean capital on Tuesday. "The construction of an apartment house was not done properly and officials supervised and controlled it in an irresponsible manner," said the statement from KCNA, which is better known for its strident attacks against South Korea and the United States. The KCNA statement also said the collapse of the apartment building "claimed casualties" but did not give any indication of how many may have been killed or injured. It said a rescue operation ended on Saturday. An official from South Korea's unification ministry confirmed on Sunday that a 23-storey apartment building had collapsed in Pyongyang on Tuesday, although he would not say from where the information had been obtained. The official, who asked not to be identified, said the building was presumed to have held 92 households, or families. "Hundreds are presumed to be dead, assuming that each family has an average of four members," he said. A spokeswoman for the unification ministry said it was presumed there were four households on each story but she also said it was not known exactly how many were in the building at the time. The KCNA statement said North Korean authorities put emergency measures into place to rescue people from the collapsed building and to treat the injured. 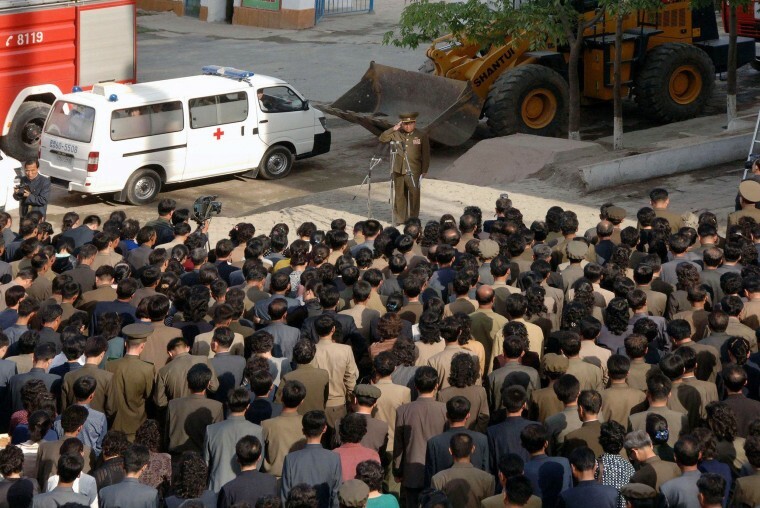 It said that Choe Pu Il, North Korea's Minister of People's Security, had "repented," saying he had failed to supervise the project adequately, "thereby causing an unimaginable accident."